Now, the problem reads on but my question or better yet where I am stumped at is where it states " After a bit of Geometry ... " What is this geometry I am overthinking. I still don't follow. 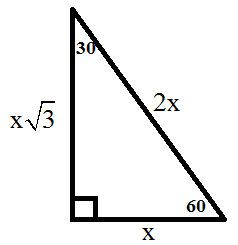 X = Y root 3 ? nvm romsek I now do understand it.